In this minisode, Chris and Cody discuss two evil objects that make you never want to own anything again. Chris talks about James Dean and his beloved car…that tried to murder him and lots of other people! 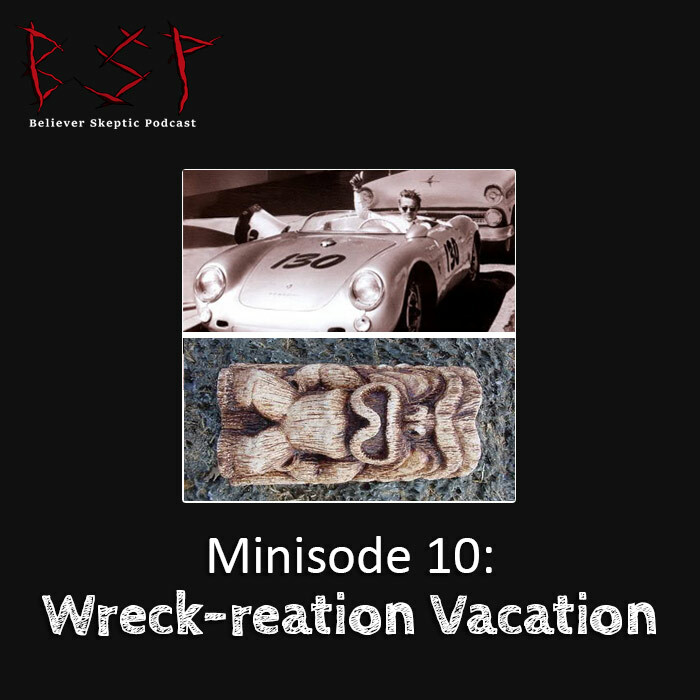 Cody begins telling a story about Pearl Harbor, but it quickly derails into a familiar taboo tiki topic sure to delight anyone who likes fluffy television. That will make sense when you listen, we promise! See if you can guess next week’s topic from this minisode. It’s not hard this time.